The EFIDL is a standalone tool, created from the ground up by the administrative team here at GhostlyHaks, that completely changes the EFI password removal game. With it, you will no longer have to struggle with the majority of issues found when dealing with the removal of EFI passwords. The process has been reinvented to now become fully automated, with the option to do an infinite amount of unlocks back-to-back, with no additional purchases or tools necessary. 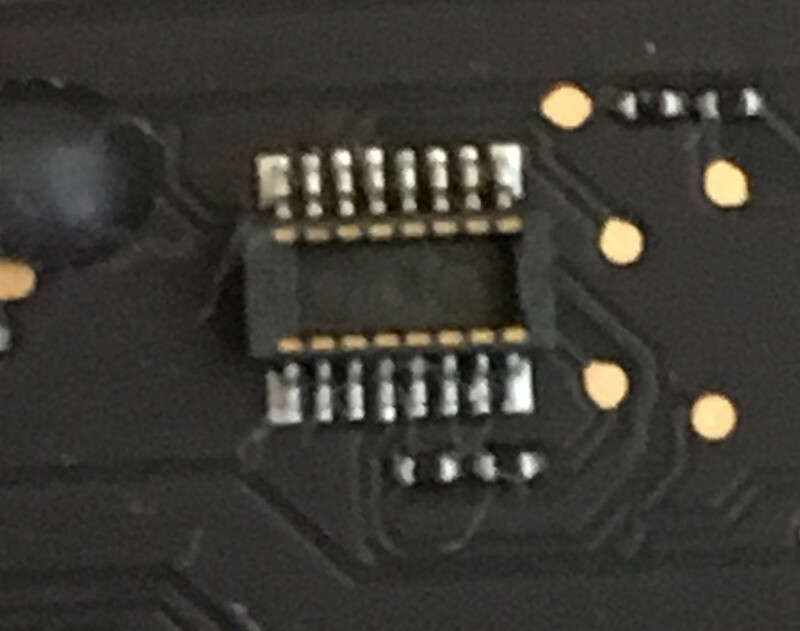 The EFIDL will NEVER require the purchase of an unlock license per device, and also functions perfectly without the need to probe a point on the board (although we have provided a Probe Cable just in case). The EFIDL will also operate universally between every known MacBook model released today: this includes all MacBook, MacBook Pro, MacBook Air, Mac, Mac Pro, Mac Mini, and iMac models for every year released to date! All it takes in order to switch between models is for you to attach the compatible Easy Flash Adapter and continue on your way. The only exception to this is the 2015 iMac, unfortunately additional research is needed to be able to master this model. This is a list of contents that have been included in your EFIDL [Lite] package. If you did not receive a certain component please ensure to notify an Admin here on the site, or send a message to , and we'll make sure you get taken care of. If you choose to send an email please be sure to include all of the details about your order to expedite the process. Details include: your name, order #, method of payment, shipment tracking number, etc. The greatest feature of the EFIDL is that it requires no user input to function! This means that it works without the need to hook into a computer or type even a single command! It is 100% portable, fits in your pocket and can be used anywhere, anytime with the addition of a simple portable Micro-USB charger (NOT INCLUDED). The following is a complete user guide for everybody to follow in order to obtain the best experience possible when choosing the EFIDL as your weapon of choice against EFI. For those of you that have experience with the methods previously introduced here at GhostlyHaks you will notice a familiarity with how to attach your Easy Flash Adapter, we appreciate that all users feel free to openly assist those having trouble and encourage everybody with any issues to ask questions either here in the comments section or over at the forums. If you look at the bottom side of your EFIDL you will notice that each pin is associated with a number or letter for ease of convenience. The only pins you will need to worry about are the ones shown in the picture above. 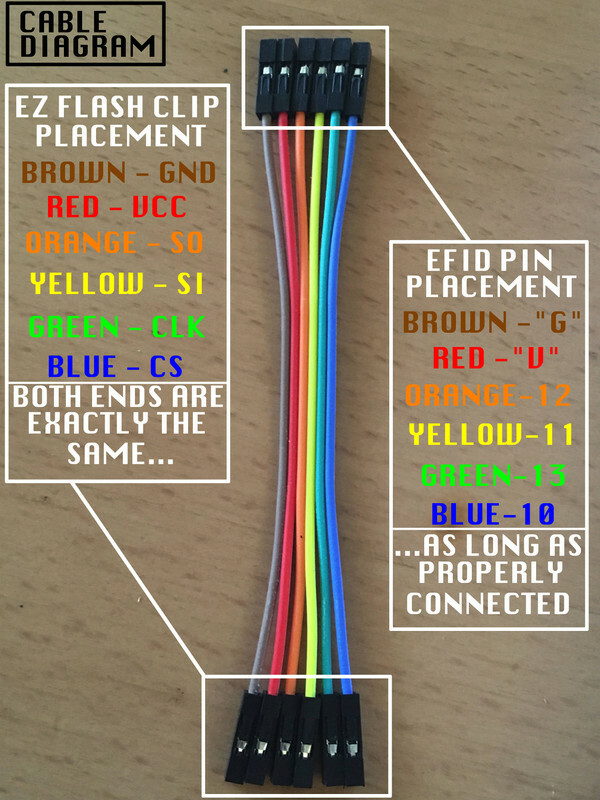 Using the pictures provided connect your GPIO cables to the EFIDL, ensuring that each color is attached appropriately. Notice the size of the debug header is elongated in the shape of a very long and skinny rectangle. Also notice that in the center of the port it is just a smooth surface with nothing found inside. These are the characteristics that necessitate the Easy Flash Adapter v4.0.1. If you take a look at the header port on your Easy Flash Adapter v4.0.1 you'll notice a similarity in that there is also a smooth center, making this a perfect fit. This debug header is typically found on a select few 2011-2012 MacBook Air's, although it would be wise to always double check for assurance. If you try to plug the wrong Easy Flash Adapter onto the incorrect debug header you risk breaking your adapter, the header, or both. Notice that this debug header looks very similar to the first example, although there is a key difference that you need to make sure you are aware of so that you donot confuse the two. The most major difference between the v4.0.2 port and the v4.0.1 port can be found by looking into the center of the port again. Except this time you'll notice that there are two very small little grooves found within the center of this debug header. This is characteristic of the type of debug header that would require the Easy Flash Adapter v4.0.2. Again, make sure that you do not confuse the two with each other. This is also the most commonly found debug header that you will come across and was introduced around Mid to Late 2012 through 2014 Mac models of all kinds. This debug header is unique to only the 2015 Mac models of all kinds. This is Apple's newest attempt to thwart us EFI Destroyers, but GhostlyHaks prevails once again! Similar models require you to attach an adapter into this debug header and then from there steadily probe the motherboard at very specific points on the board for any length of time in order to best the beast. 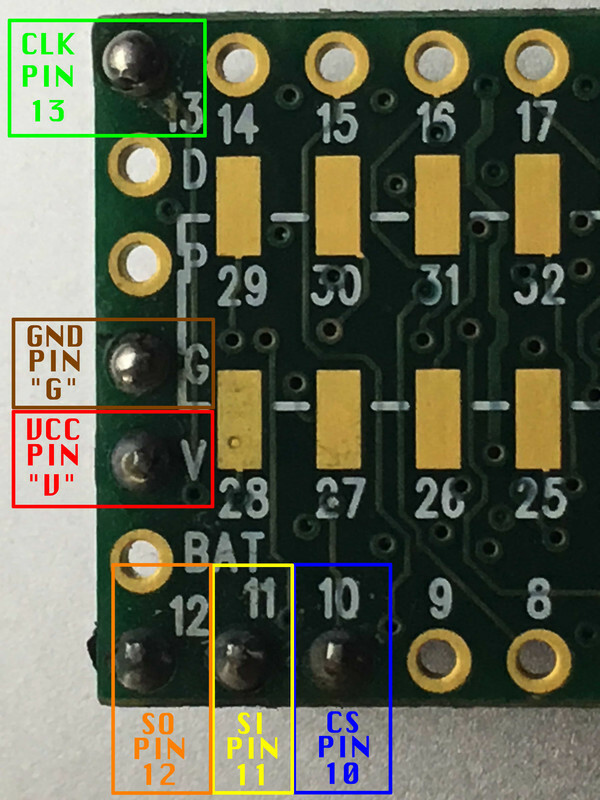 With your trusty Easy Flash Adapter v4.0.3 in hand probing the board has become obsolete! Just attach your Easy Flash v4.0.3 to your EFIDL just as you would for any other model and proceed as usual! If you have been a part of GhostlyHaks for any length of time then you are very familiar with how this chip is accessed. For those of you that are seeing this for the first time this was/is the chip that allowed the first forms of EFI modification to become reality. 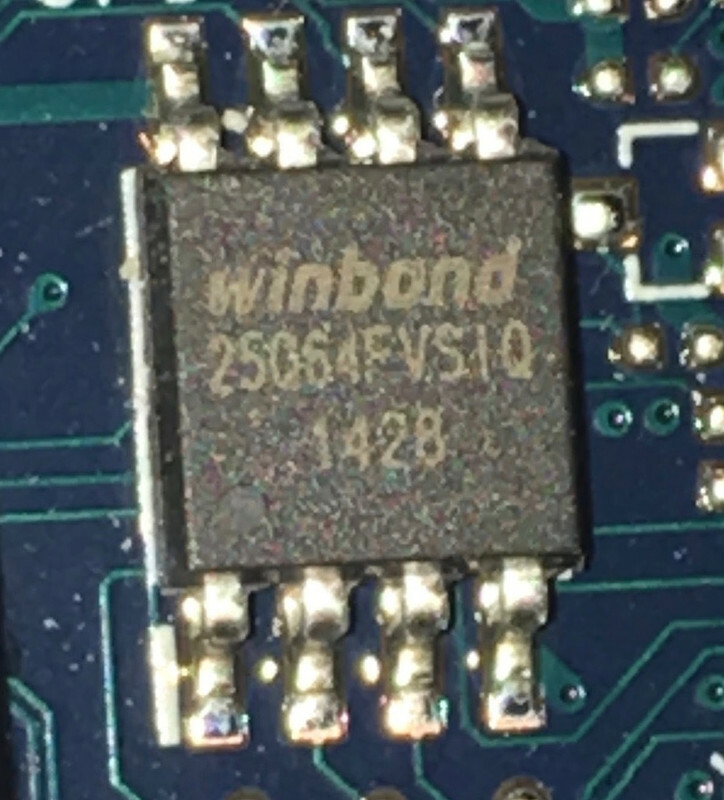 This chip is accessed by use of what is called a SOIC8 adapter. For those of you that do not know how to use this I will direct you to one of two guides detailing the use of this adapter. The first is the original guide written by thaGH05t, and the second is a guide I have written. Click here to review the 'How To Hack Apple EFI' tutorial written by thaGH05T OR Click here to review the 'EFI Step-By-Step Tutorial' written by therealjayvi. If you've made it this far then you must now have a fully assembled EFIDL + Easy Flash Adapter sitting in front of you with the locked Mac next to it with its bottom plate taken off (how else would you have found out which Easy Flash Adapter you need to use?). Now all that's left is to use the provided Micro-USB Cable to provide power to your EFIDL, attach to the debug header and watch the magic happen! Provided with your EFIDL purchase is a placard that shows the LED Color Scheme as a reminder to tell you what your EFIDL is doing. The following info will go into detail on how to interpret the LED Color Scheme as what action your EFIDL is taking. GREEN (FLASHING QUICKLY) - This state occurs only directly after the YELLOW state and it means that your EFIDL has correctly detected the chip! Try not to touch anything after this point until the procedure has finished! BLUE - This state will proceed after the GREEN (FLASHING QUICKLY) and means that your EFIDL is currently seeking out and destroying the EFI Password. Again, be sure that you do not touch or remove anything during this phase. GREEN (FLASHING SLOWLY) - This is 1 of 2 possible final states that your EFIDL can encounter after the BLUE state and it means that your EFIDL has successfully removed the EFI Password from your locked Mac and you may detach the Easy Flash Adapter from the motherboard and proceed onward with your freshly unlocked Mac! RED - This is the second of 2 possible final states that your EFIDL can encounter after the BLUE state and it means that your EFIDL was unable to remove the EFI Password. At this point check to ensure that everything was attached properly and try again. For repeated failures please see the end of this guide explaining troubleshooting. ONLY if you have attempted all 4 of the above Power States, and your EFIDL is still unable to detect the chip should you seek further assistance here by opening a new thread in the forums or commenting in the comments section at the end of this guide. A major factor that you need to watch out for while attempting the various Power States is the internal cooling fan of the Mac you are trying to unlock. Some Macs, while fiddling with the different Power States, will power themselves on whenever a certain Power State is activated. This is normal and happens often, so be sure to keep an eye out for it. Whatever you do, DO NOT ATTEMPT TO USE THE EFIDL WHILE THE MAC IS POWERED ON! It is not made to operate under these conditions and can have devastating effects! Please be sure to watch out for the internal cooling fans because they will very blatantly turn on and start spinning, as well as the Mac sometimes sounding off the initial "CHIME" when it powers on. If you notice either of these while before using the EFIDL, stop everything you are doing, disconnect the Easy Flash Adapter from the motherboard if you had it connected already, open the lid on the Mac and hold the Power button until it has fully powered off before continuing onward. Again, the EFIDL was not made to work while the Mac is powered on, so as long as you take care to keep an eye out for this and power the device off should it turn on before continuing to use the EFIDL on it, then all will be well. If all else fails I encourage everybody to ask for help either in the appropriate forums section here on the site or by commenting down below in the comments section. If it is an absolute emergency then please use the 'Contact Us' form found at the very bottom of every page here at GhostlyHaks to send us a message and we will do our best to respond as quickly as possible. If you send a message via the 'Contact Us' form please be sure to describe every detail about which Mac you are working on, all the steps you took to reach your current position, what happened and where you think something went wrong; just try to be as detailed as humanly possible, the more information we have the better able we are to come up with a solution for you with our first response. This saves time on our side, and headache on your side.